When selling your home it can be tempting to hire a Realtor who charges the least! The truth is you should think twice before doing that. The focus should not be on what you are paying an agent but rather on obtaining the most money in your pocket when the home sells. Really think about what is more important to you a higher price or a lower commission? Just focusing on commission makes the assumption that all Agents provide the same service, the same marketing and have the same experience. That assumption is not correct. As a home seller, you have to market your home to both Buyers and Agents. Offering a discounted commission actually pushes Agents away from your home instead of attracting them. Buyer’s Agents who represent Buyers work very hard to assist them in finding a home and representing their best interest, so they rightfully expect to be paid accordingly. The primary goal in selling any home is creating as much demand from buyers and agents alike. The last thing you want is to give your competition an edge over your own home! For example, when a Listing Agent takes a listing and charges a reduced commission, they will then offer less in MLS to Buyer’s Agents who would bring buyers. So just imagine being a real estate Agent representing a Buyer and seeing three properties in MLS that your Buyer may like. But one of them is offering less than the others. If you were an agent would you be excited to show your Buyer THAT property? Most Realtors have a very high ethical standard and would not let commission get in the way of their client obtaining a property, but let’s be honest, money motivates so you can be sure they will not be excited to sell the home that is offering them less. Here are screenshots of two hypothetical examples from MLS of one home that is offering 2% and another home that is offering 2.5%. If you were an Agent which one would you be more motivated to sell? The old adages “you get what you pay for” or “the more you pay the more you get” are almost always true regardless of the business. 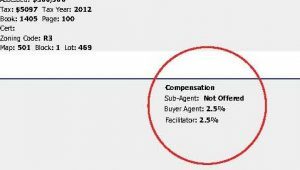 What sense does it make to hire an Agent who believes so little in their ability that they discount their fee? 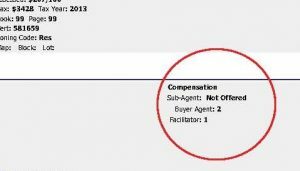 Can an Agent who discounts their commission market my home as well as those who don’t? Marketing a home properly is very expensive. The amount an Agent makes from past home sales is how they fund the marketing efforts for new home sales. Websites like Trulia.com, Zillow etc. all cost money to correctly list a home and countless discount Agents neglect listing on these sites due to cost and workload to do it. If marketing is neglected resulting in fewer Buyers seeing your home, the question isn’t how much have you saved on commission, but rather how much have you lost in price? Simply put, the more marketing you do, the more buyers you reach. More buyers create more demand and more money. If an Agent cannot negotiate their own commission, how well will they negotiate top dollar for your home? After all, you want top dollar more than anything else. Agents lose their clients’ money in negotiations all the time. At the end of the day, the biggest thing a Seller cares about is their bottom-line, which is what you get at the time of sale after all expenses are paid. Getting the most comes from getting top dollar for your home. The combination of more marketing plus more negotiating experience is what will get you the most money for your home. Remember one wrong comment by your Agent in a negotiation can cost you a lot more than $6,500. 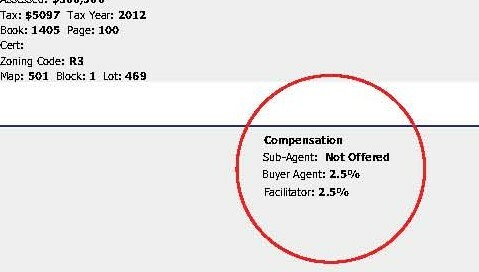 So in Example #2, the Seller paid 2% more in commission but the Seller got $6,500 more in their pocket! Now, are they happy they paid more? 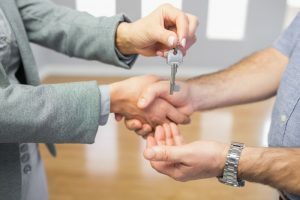 Keep these reasons in mind when hiring a Realtor to sell your home.